Why X-10? some may ask. 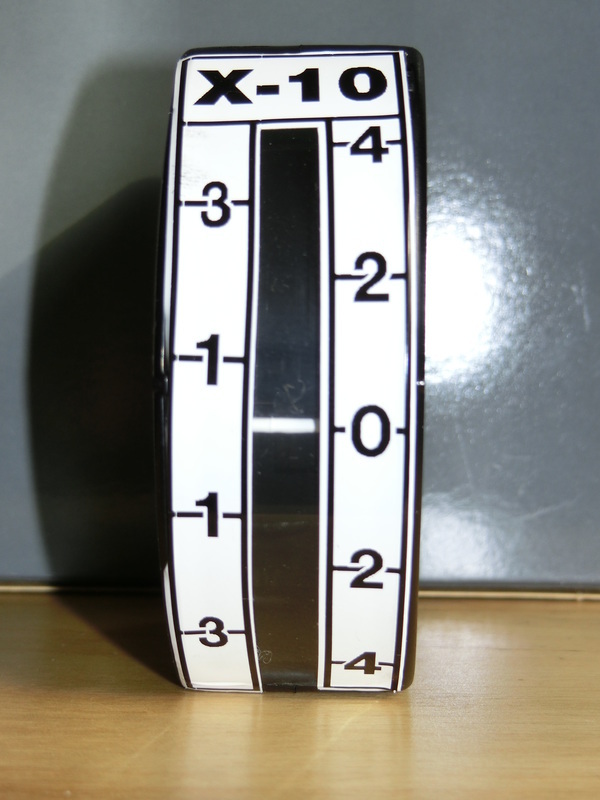 Simple, really, each number in the scale is worth 10º of inclination. The problem with current inclinometers on the market is that almost all of them do not fill the airgunner's needs. They are either made for furniture, construction, or medical machinery. Those that are made for shooters have two common flaws: Too small to be read from the shooting position, and they all are very small; and awfully expensive. Compound with that the common usage in firearms of the "Cosine Law" and the device transmits data that is totally worthless to the airgunner that shoots at inclined targets that are, most of the time, between the muzzle and the first (near) zero. 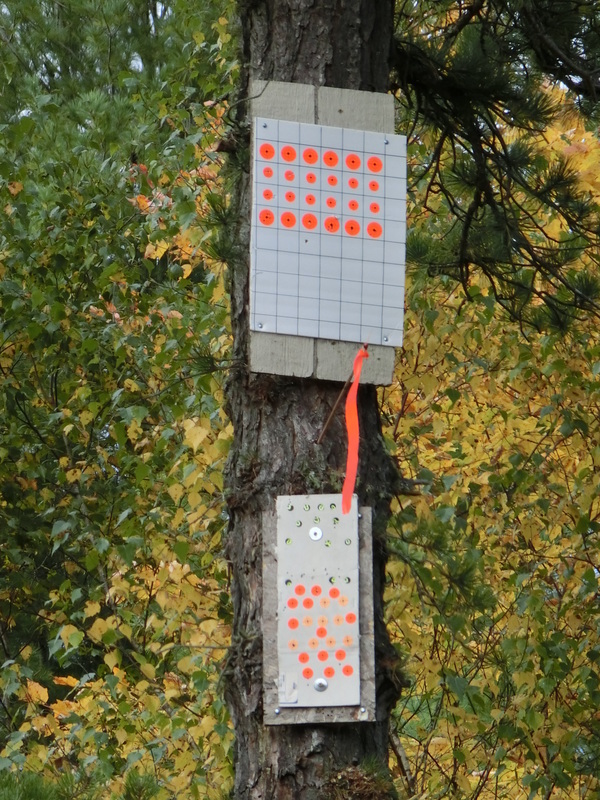 And this is unavoidable most of the times: Unless the Match Directors can have access to some sort of mountain path (like in Germany), where the targets to one side of the path are up the mountain and on the other side are down the gully, most of the inclined targets shooters will face will be of "tree" targets. Targets that, to really achieve a strong degree of inclination (greater than 20º) will usually be in the short range (under 20 meters horizontal difference). 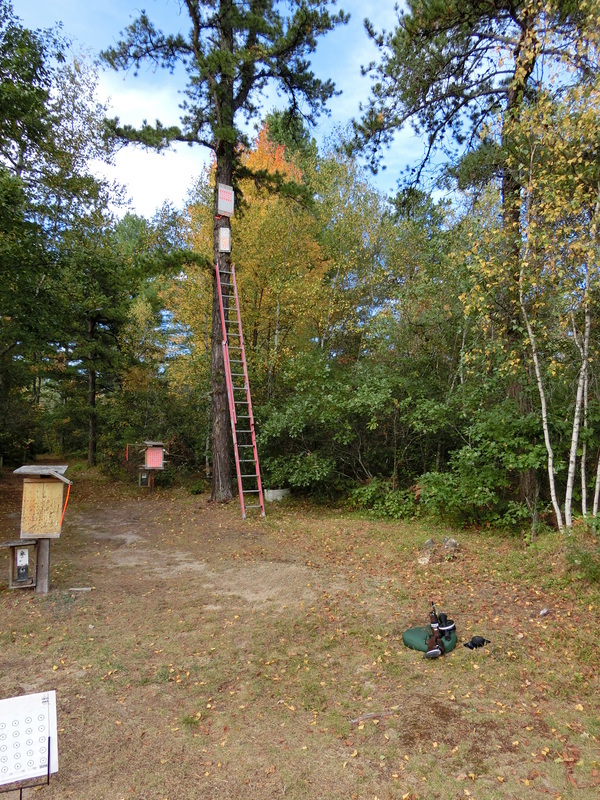 Just think that to achieve a substantial angle (let's say that an MD is aiming to achieve 45º), unless he wants to go up a tree more than 30' high, he is better off using a tree that is at 10 yards or less from the shooting position. Of course, for a 10 yard tree and a 30' up in the air target the scope would range about 14 yards, but if you took the shot at your 14 yards range/settings, unless it is a large KZ, you're probably going to miss the target. When I started airgunning seriously, about 16 years ago by now, I had to derive "rules of thumb" for inclined targets. Pigeons in stables or barns, grackles in trees or palms, O'possums or Iguanas hanging from vines in the jungle were all steep angled shots, but most of them were, horizontally speaking, almost at muzzle length. When I encountered FT's at steep angles that were not quite vertical either, it was a little different. Hunting guns usually can have their scopes REAL CLOSE to the boreline because you use smaller scopes for real hunting than for FT. But once you get to the 44, 50 and 60 mm's objectives that FT scopes use and the corresponding high rings and bases, inclined shots can become complex. Especially because the human eye is not very good at gauging inclinations in the field. The surroundings will affect the way your eye looks at things, and more importantly, how your BRAIN interprets those visions. Sitting on the ground looking at a target up in a tree it may seem that the angle is 45º, but that could also be a combination of the terrain sloping down on you 15º and the target being up from the horizontal by a "mere" 30º. These optical illusions are so strong that in some roads people swear that cars drift UPHILL (just search in YouTube "Gravity defying roads" and you'll get a ton of hits. 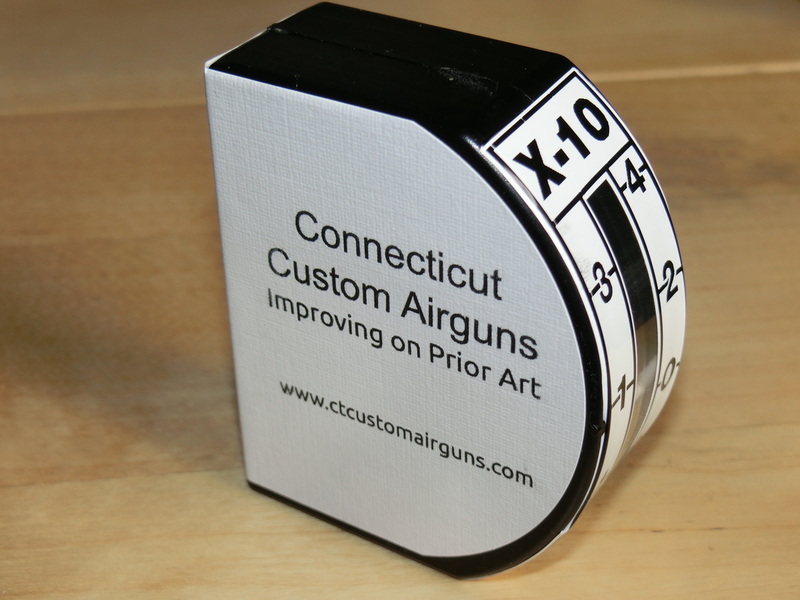 So, airgunners need a reasonable instrument that can MEASURE inclination of the BARREL in relation to a true horizontal line. 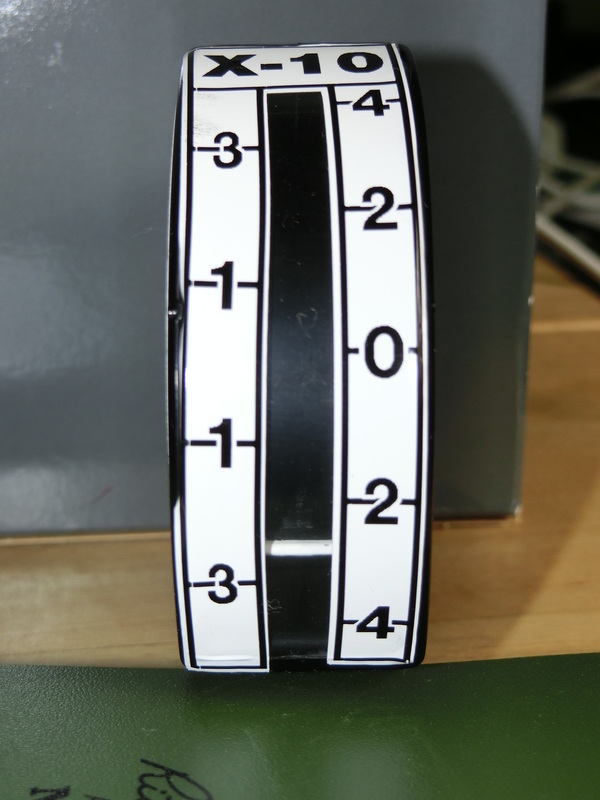 It is designed to be viewed "on end", which means you can measure the tilt of the target from your shooting position. It will give you readings in multiples of 10º, but since the lines are staggered (odds on one side, evens on the other) you can easily estimate every 5º. Now, to be quite honest, having greater resolution would not help much, variances are not that dramatic 5º one way or another. What is dramatic is the difference between 0º and 35º or between 20º (almost the same as 0º) and 45º. THAT is what this instrument helps you detect. Are you going to shoot straight on, or are you going to allow for the inclination? I shoot straight on at up to 20º, but I also know world class shooters that correct for anything above 15º. 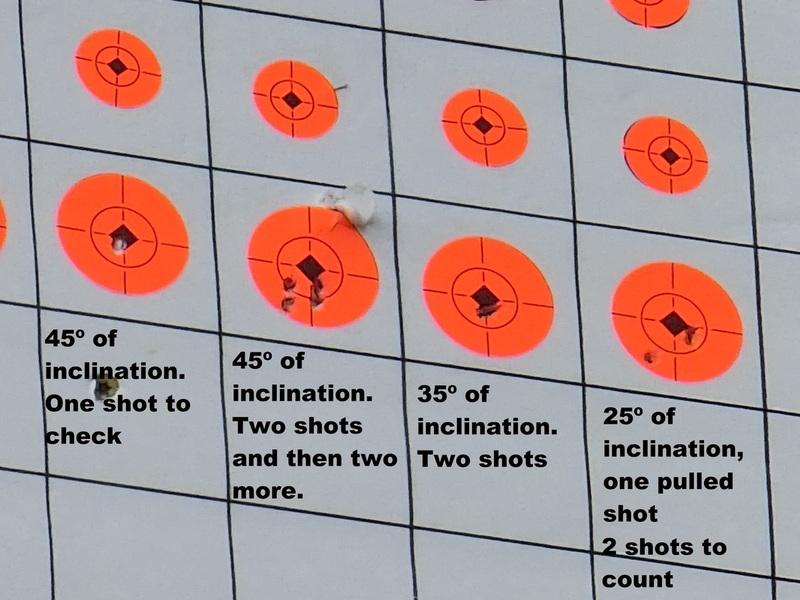 I shot at inclinations of 25º, 35º and 45º just by getting closer and closer to the base of the tree and using the bottom right four of the top group of bullseyes. For every different inclination, the routine was the same: Measure the inclination with the rifle-installed TiltMeter, then input the data into the tablet with PP-Calc and take the test shots. 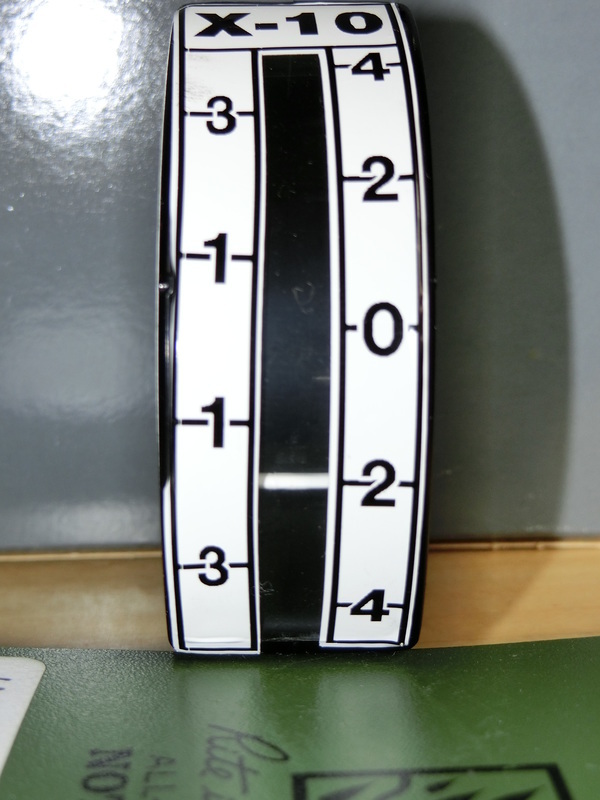 It is important to mention that the TiltMeter (Inclinometer) is a legal device according to WFTF Core and Comprehensive Rules because it is a RIFLE INSTALLED MECHANICAL device. 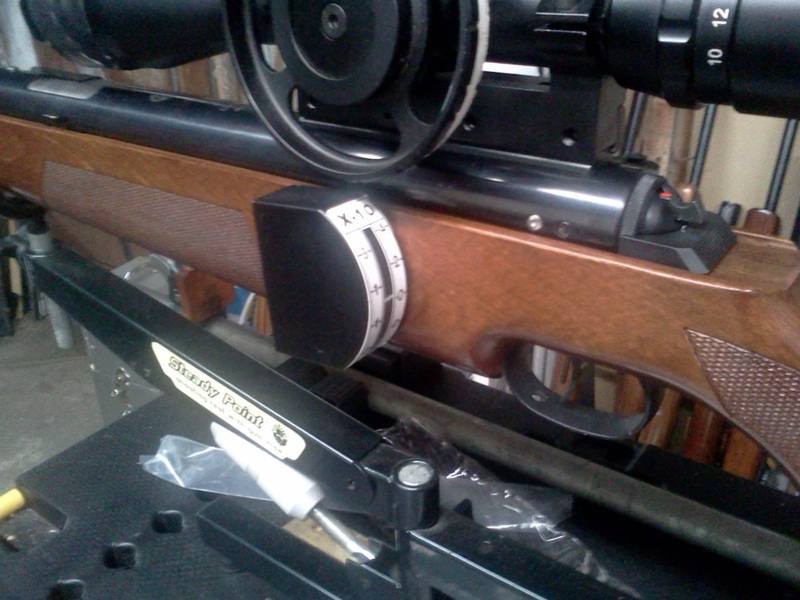 Measuring the inclination of a target with a device that is not rifle installed,or not mechanical, is not legal under WFTF rules. Electronic inclinometers, as those found in smartphones are "too precise", they give information that far exceeds our needs. 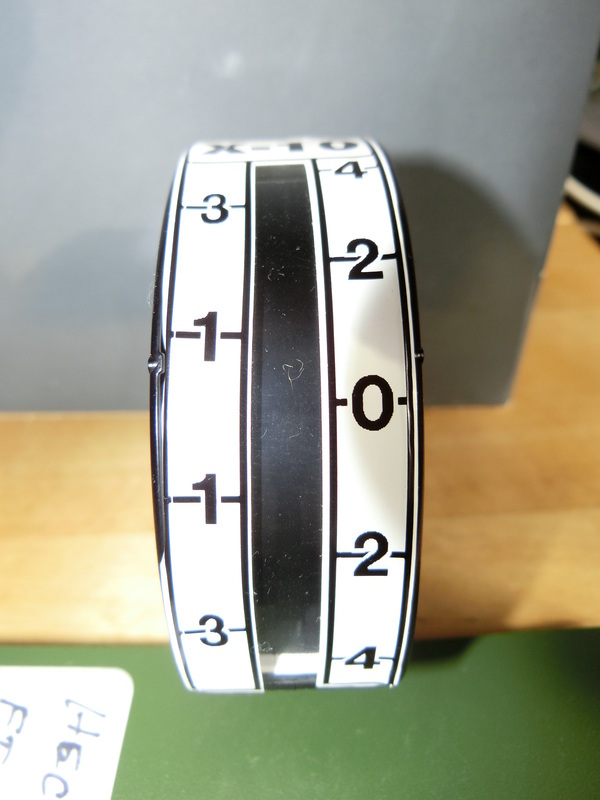 And it is important to "coordinate" the horizontality of the barrel and the TiltMeter when affixing it. If you are interested in one, drop me a line from the "Contact" page.